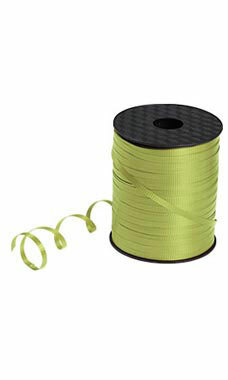 Choose this high quality 3/16" wide Jungle Green Curling Ribbon to add a cheerful splash of color to any gift. Our curling ribbons come in 500 yd. rolls and coordinate with our other ribbons and bows to assist you in all of your packaging needs. Use a straight edge to pull across the flat surface to create bouncy curls that are sure to enhance the detail of your presentations!